Field Marshal Bernard Law Montgomery was one of the most prominent and successful British commanders of the Second World War (1939-45). Known as 'Monty', he notably commanded the Allies against General Erwin Rommel in North Africa, and in the invasions of Italy and Normandy. Bernard Law Montgomery was born in London in 1887. After attending the Royal Military College at Sandhurst, he was commissioned into the Royal Warwickshire Regiment. Early in the First World War (1914-18), he was shot through the lung by a sniper during the First Battle of Ypres (1914). His wound was so severe that a grave was prepared for him. However, he went on to make a full recovery. 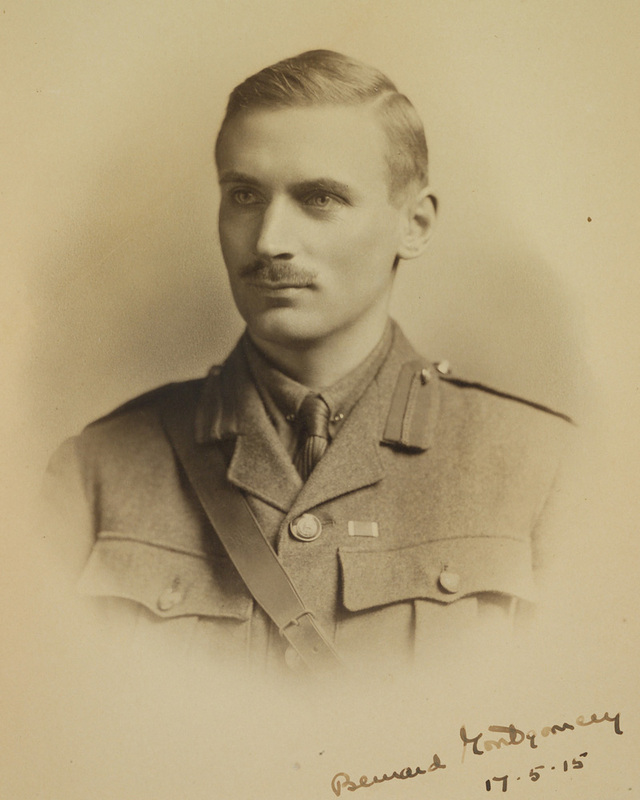 He saw out the rest of the war as a staff officer, serving in the Battles of the Somme (1916) and Passchendaele (1917). In this capacity, he observed the tactics used by generals like Sir Douglas Haig and became critical of their readiness to accept high casualties during campaigns. When Britain declared war on Germany in 1939, Montgomery was sent to France with the British Expeditionary Force. He commanded the 3rd Division. Predicting the operation would be a disaster, he trained for tactical retreat. 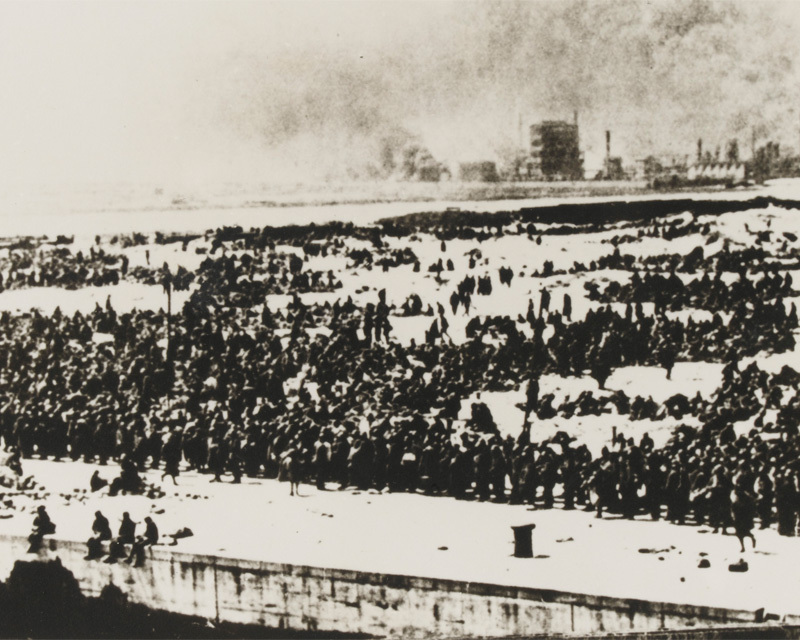 This proved vital during the evacuation of Dunkirk in 1940. 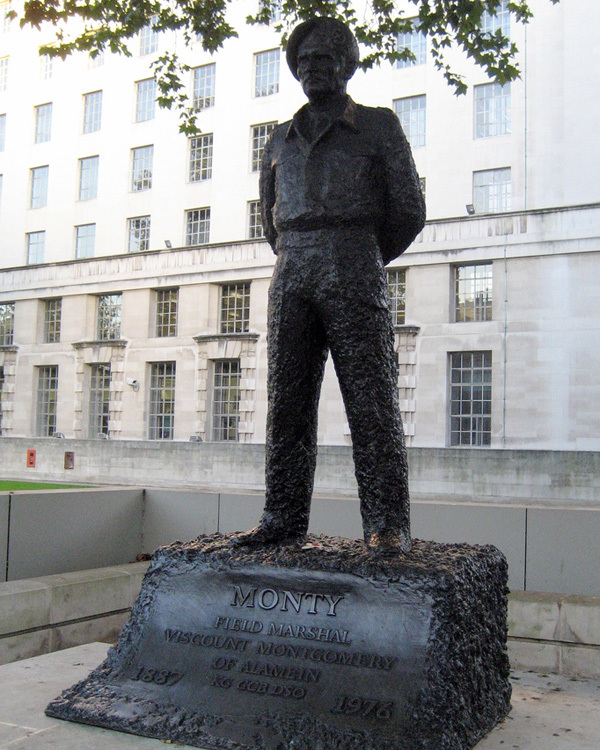 Montgomery was nicknamed 'Monty' by his troops, although they never addressed him that way in person! In 1942, Prime Minister Winston Churchill appointed Montgomery commander of the 8th Army in the Western Desert. Montgomery rapidly restored the army's flagging morale and ensured his men were properly supplied. For nearly two months, he continued to train and re-equip his soldiers. Montgomery effectively organised the defence of El Alamein against the German forces led by General Erwin Rommel. He countered both Italian and German attacks, before delivering the Allies their first major land victory of the war at the Second Battle of El Alamein in October 1942. 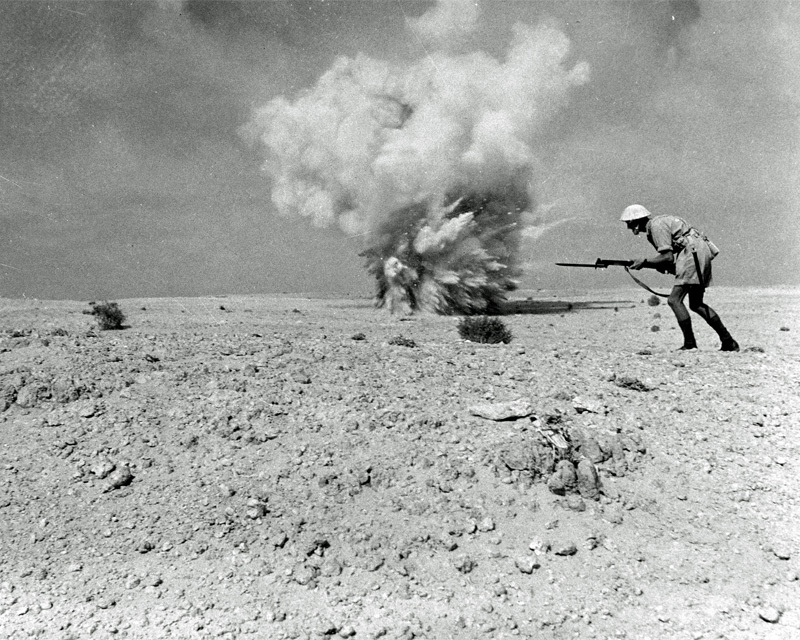 This was a turning point in the North African campaign and indeed the Second World War. Montgomery also played a crucial role in the Allied invasions of Sicily and then Salerno in Italy during 1943. This was in spite of disagreements with US Generals Patton and Bradley, who both viewed his previous successes jealously. Montgomery's rivalry with Rommel was so fierce that he even named his pet spaniel after him. Monty also had another dog, a fox terrier named Hitler. In June 1944, Montgomery commanded all the ground forces taking part in the Allied invasion of Normandy. Despite setbacks, his skilful planning entrapped and defeated the German forces at the Falaise Pocket. Later, he convinced US General Dwight Eisenhower to agree to Operation Market Garden, an invasion of the Low Countries and the Ruhr. Montgomery’s plan failed, owing to the large number of German armoured units in the region, and resulted in disastrous losses. However, he redeemed himself with his excellent command during the Battle of the Bulge in December 1944. By shoring up American defences with 30 Corps and permitting the deployment of reserves, he successfully turned the tide of the battle. After overseeing the meticulously-planned Rhine crossings of March 1945, Montgomery’s troops advanced into Germany. He eventually accepted the surrender of all German forces in Denmark, northern Germany and the Netherlands on 4 May 1945. 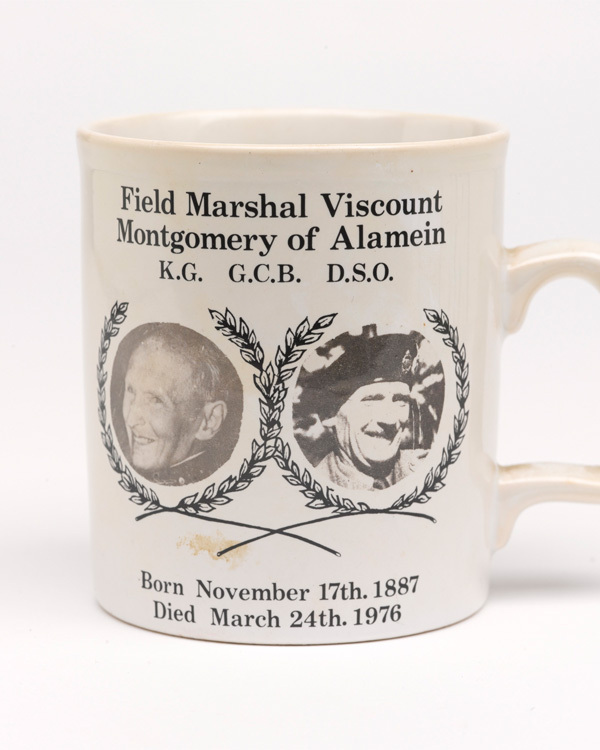 After the war, Montgomery was made 1st Viscount of Alamein and appointed Commander-in-Chief of the British Army of the Rhine (BAOR) in Western Germany. In later life, he was involved in several personal controversies. These included voicing support for apartheid in South Africa, speaking against the legalisation of homosexuality, and criticising US tactics in Vietnam. His personal memoir, published in 1958, was particularly inflammatory. He was critical of many of his wartime colleagues, including Dwight Eisenhower, who was by then the president of the United States. Montgomery was arrogant, unlikeable, but ultimately successful. He famously lacked diplomacy and tact when dealing with others. But this directness made him a great military leader. An example of his difficult personality was when US Major General Bedell Smith made a wager that British forces would not capture the Tunisian city of Sfax by 15 April 1943. Sfax fell on 10 April and Montgomery won the bet. As his prize, he demanded an American bomber to use as his personal transport. Smith, who had only entered into the wager in jest, was ultimately compelled to pander to Monty’s 'crass stupidity' at the bidding of General Eisenhower. Despite his complex character, Montgomery remains one of the best-known generals of the Second World War and one of the British Army’s greatest ever commanders. An unconventional claim to fame is the lending of his name to the comedy troop ‘Monty Python’, who (sometimes) claim they selected ‘Monty’ in mocking tribute to the legendary Second World War general. Montgomery died in Isington, Hampshire on 24 March 1976. A commemorative statue stands outside the Ministry of Defence in Whitehall. Fought in October-November 1942, this was the climax and turning point of the North African campaign of the Second World War. The armies of Italy and Germany suffered a decisive defeat by the British Eighth Army.